Lot 195 C/I Oval Steam Locomotive Worksplate. 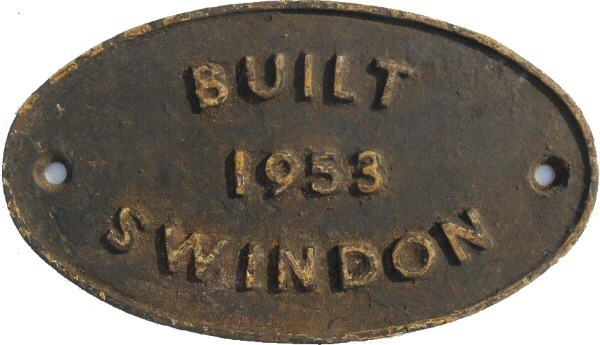 "BUILT 1953 SWINDON". Engines built there in year LMS type Ivatt's 2-6-0 46515 - 46527 and BR Std 4-6-0 75020 - 75024 and 75030 - 75049. Size 10" X 6". Ex Loco condition.